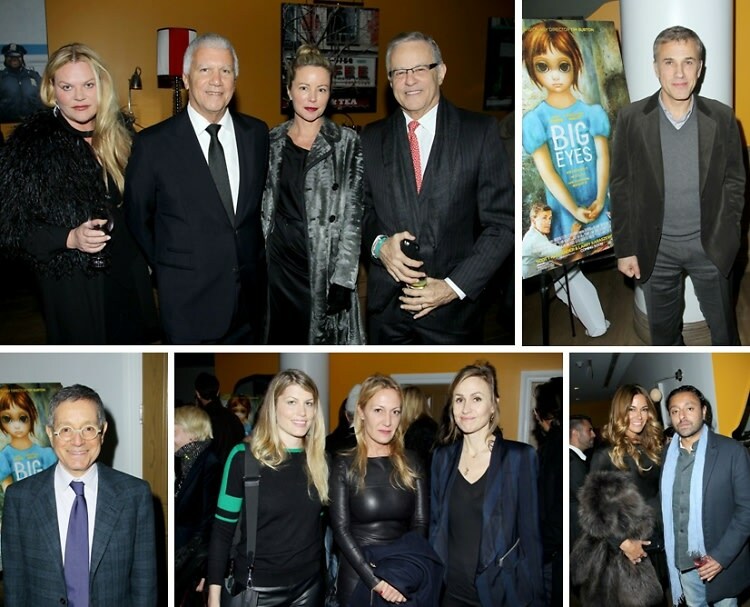 Art World A-Listers Attend Screening For Tim Burton's New Film "Big Eyes"
On December 10th, Larry Gagosian, Harvey Weinstein and Christoph Waltz hosted a special screening of Big Eyes for art world luminaries, at the Crosby Street Hotel. The film, directed by Tim Burton, tells the true story of Walter Keane and one of the biggest art frauds in history. Notable attendees included Eileen Guggenheim, Jeffrey Deitch, Diana Picasso, Jean (Johnny) Pigozzi, Will Cotton, Adam Beale, Todd DiCiurcio, Arden Wohl, Anna Sui, Ann Dexter-Jones, and Stacey Bendet Eisner. Click through our slideshow for a look at the event! Who was there: Guests included Larry Gagosian, Harvey Weinstein, Christoph Waltz, Eileen Guggenheim, Jeffrey Deitch, Diana Picasso, Jean (Johnny) Pigozzi, Will Cotton, Adam Beale, Todd DiCiurcio, Enoc Perez, Sante D'Orazio, Antoine Verglas, Timothy Greenfield-Sanders, Jeremy Kost, Katharina Otto-Bernstein & Nathan Bernstein, Dana Hammond, Vikram Chatwal, Lillian Stern, Lisa Phillips, Stellan Holm, Michael Klug, Arden Wohl, Katharina Damm, Lydia Fenet, Anna Sui, Nanette Lepore, Candy Pratts Price, Stacey Bendet Eisner, Sam & Kathryn Shaffer, and Ann Dexter-Jones.